Orlando Sentinel Profiles R.C. 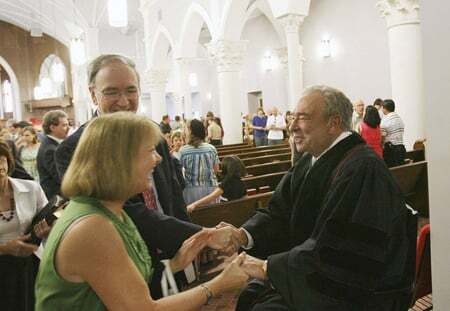 Sproul & the Influence of "New Calvinism"
This past weekend, the Orlando Sentinel ran a story profiling R.C. Sproul and his ministry. Partly driven from Time magazine’s 2009 declaration of “New Calvinism” as one of the “10 Ideas Changing the World Right Now,” the article looks at the building of Saint Andrew’s, where Sproul is currently senior minister of preaching and teaching, the announcement of the Bible college at Ligonier Academy of Biblical and Theological Studies, and how a 71-year old theologian is influencing a young generation of conservatives.